When it comes to pretty packaging Benefit usually wins hands down but I find some of their products a bit hit or miss. 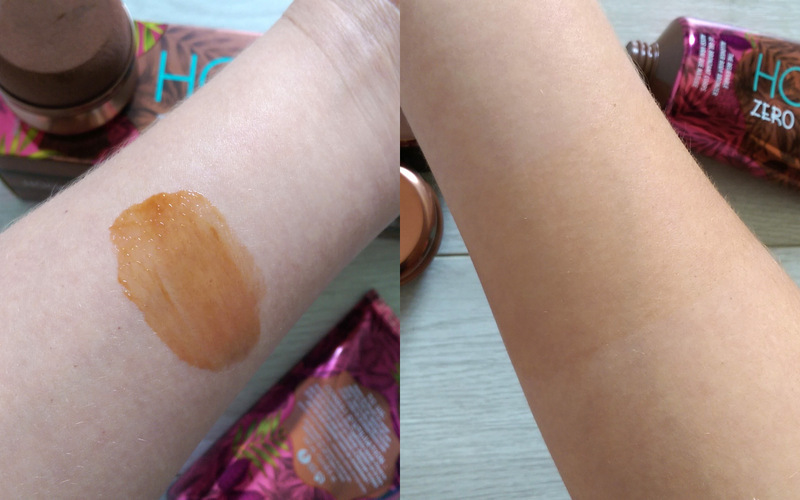 However, the way they’ve expanded on their popular Hoola bronzer is a serious home run! 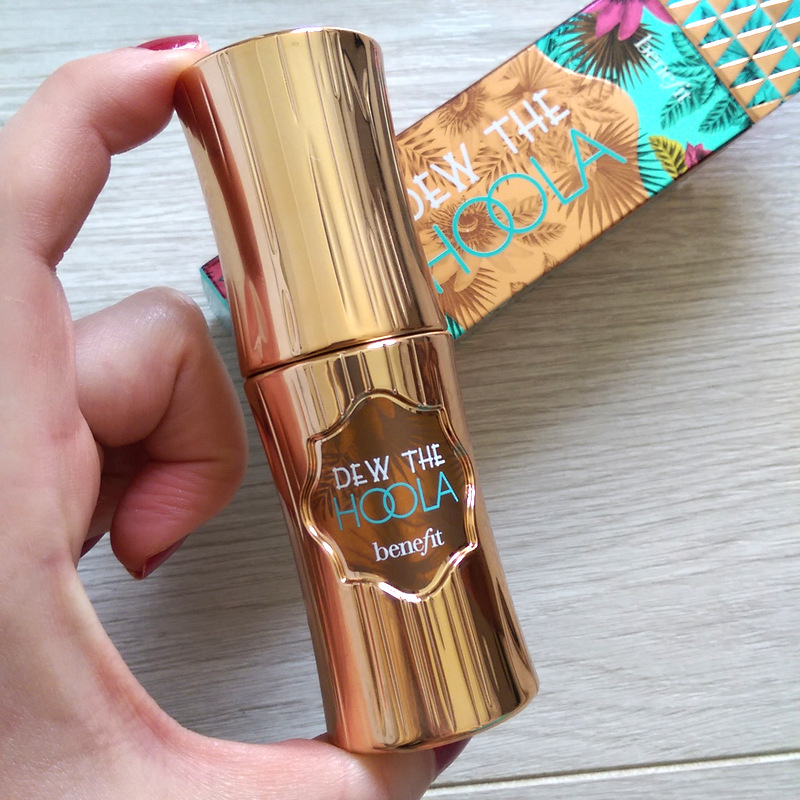 The first goodie is Dew the Hoola liquid bronzer (R445, selected Edgars and Red Square). I love the cutesy bamboo-shaped pump bottle. 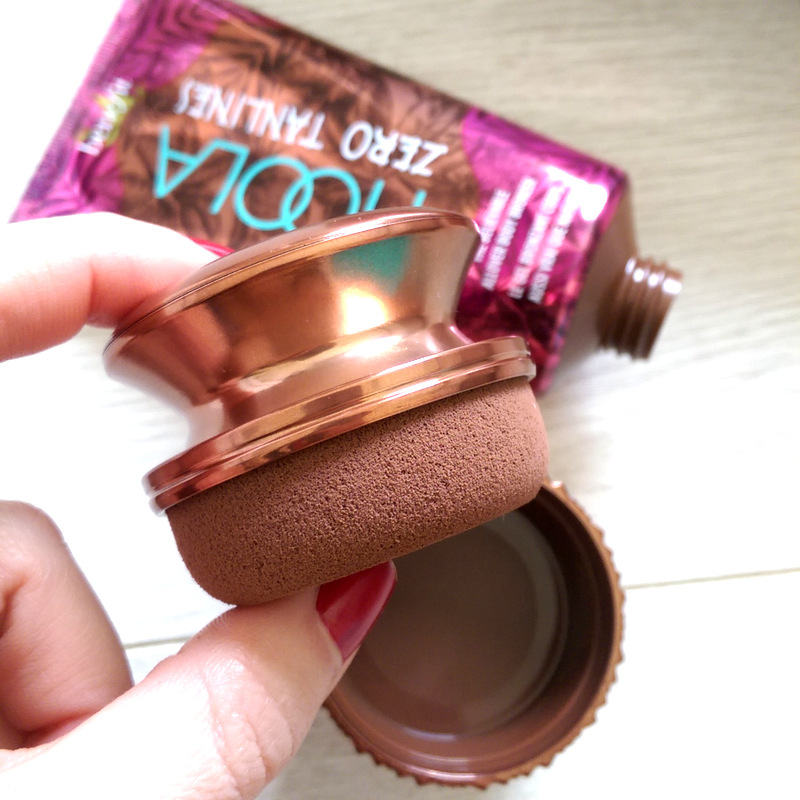 A soft matte liquid bronzer for face, Dew the Hoola is super easy to use. First apply your moisturiser then tap it onto your face and spread it out with a sponge and boom, you’re done. You need to work fast as it sets pretty fast but once it’s on you’re good for the day. I love that it doesn’t contain a drop of ‘sparkle’ so it looks super natural. Zombie hand on the left, living flesh on the right. I wore Dew the Hoola on my face the other day to an event and it looked great. 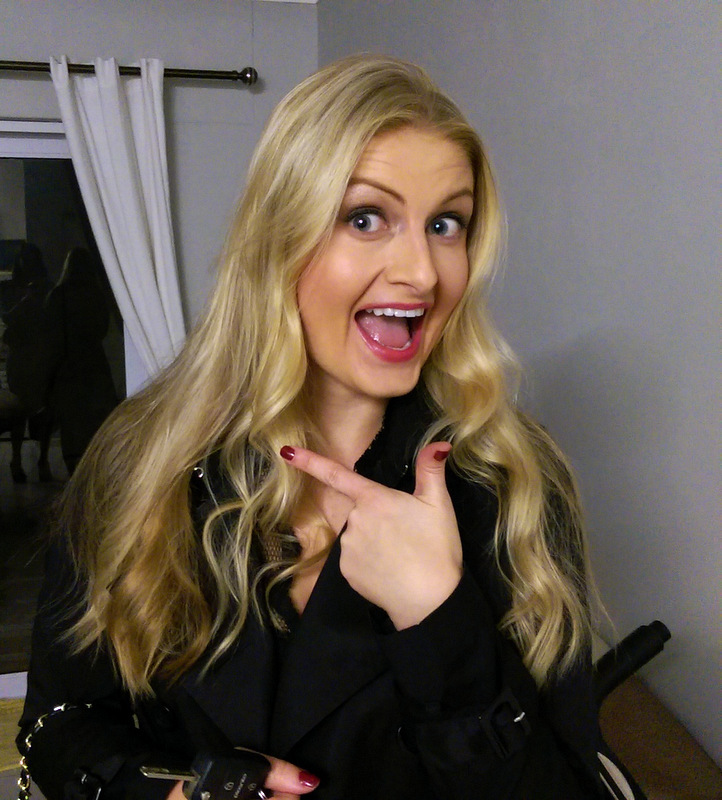 Ignore the fact that I’m pointing to my hair and pulling crazy face – this pic was sent to a friend as part of an in joke and wasn’t meant for my blog – but I’ve since come to realise it’s a great example of just what Dew the Hoola can do. 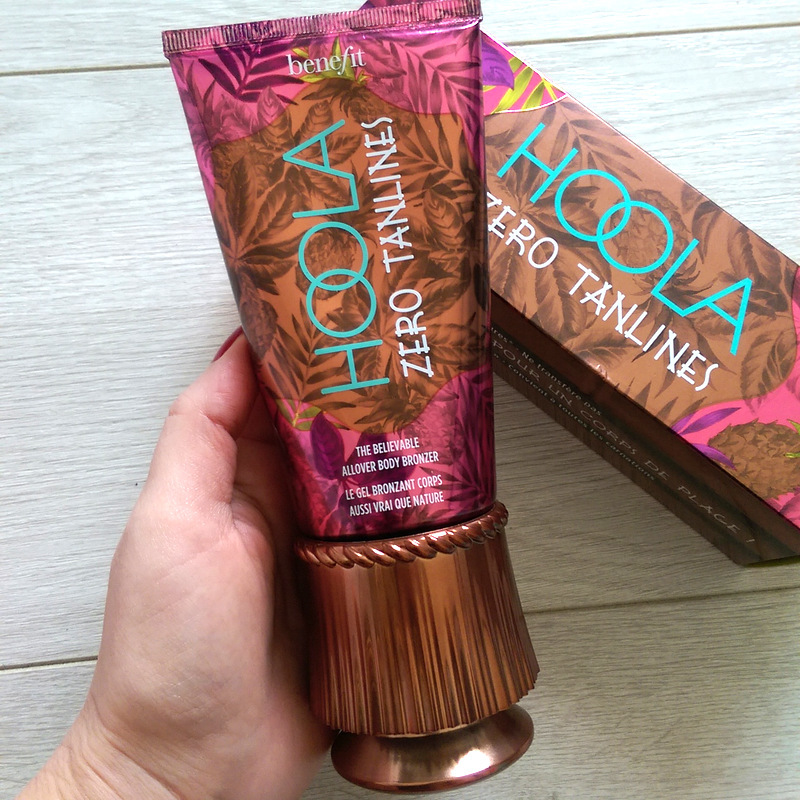 Meet Hoola Zero Tan Lines body bronzer (R475, selected Edgars and Red Square). Don’t we just love the cute ‘grass skirt’ packaging? The cap also pops off to reveal a giant sponge that you can use to blend things out. Thing is, I’ve never had to use it ‘cos it’s a silky-feeling gel with lots of slip so it glides on like a boss to the point where you don’t even have to first apply a body lotion. Also, as it’s buildable, you can keep layering until you hit your required ‘bronze level’ and it doesn’t get muddy or turn weird on you. Again, once it’s on it stays put and doesn’t come off on your clothes. 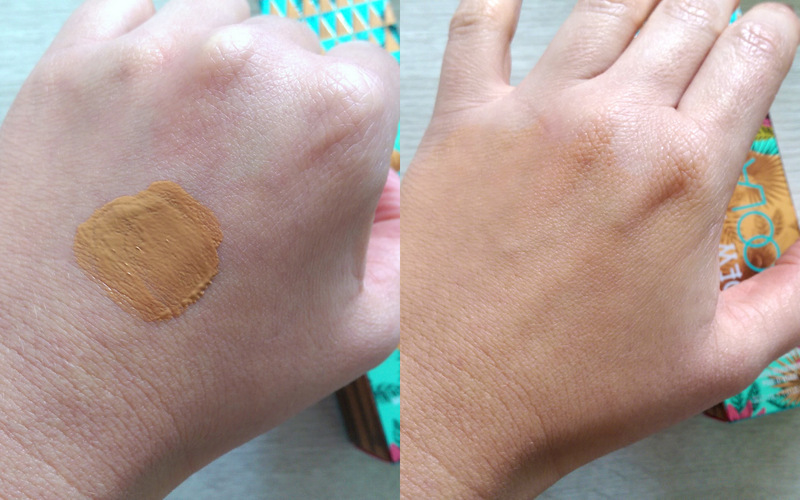 On the right I’ve done my whole arm and then layered on a bit in the middle to show you that you can go darker. The end result is a very believable ‘I’ve just spent a week in Kauai, yo!’ So, if you’re looking to get your glow on without self-tan, these two l’il honey lambs are going to be your new besties. Did you catch me chatting about Alicia Keys’ ‘no make-up movement’ with the Fash Pack on Expresso last week?